The 2nd Annual Sporty Momma’s Charity Bowling Bash is just days away. My team and I are hard at work preparing for this event. 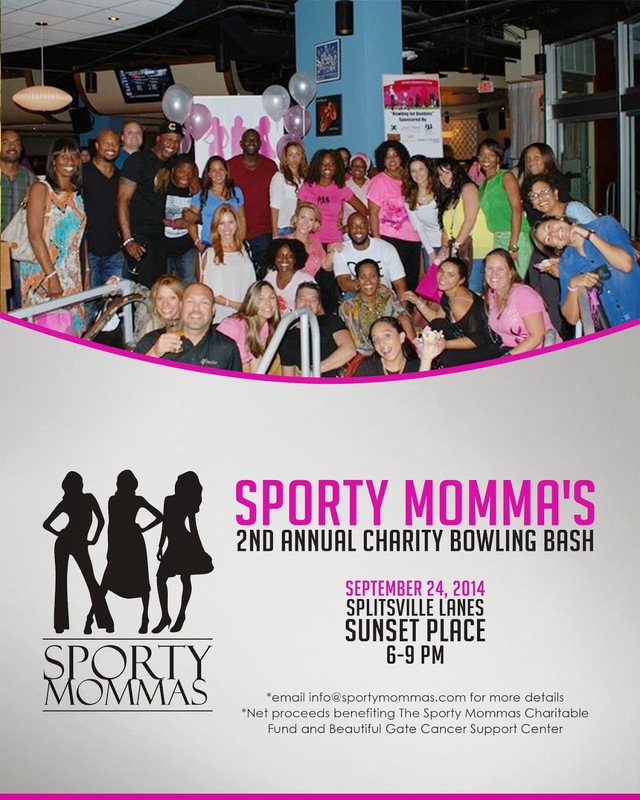 Join us for an evening of bowling, networking, raffles and much more. Last year we had over 75 attendees and donated $2,000 to charity. This year net proceeds will be donated to the Sporty Momma’s Charitable Fund and Beautiful Gate Cancer Support Center. A special thank you to our lane sponsors including, McDonald’s, Design Therapy of Miami, The Miami Dolphin’s Charitable Fund, Shannon Stewart, Engel and Volkers Realty, The Weintraub Family, C and G Engine Corp., Health Care Advisors Services, Ta-Da Kidz Fitness, and Fashion for Charity. Our silent auction will feature one of a kind sports memorabilia, jewelry, apparel, restaurants and much more. We promise this will be a night to remember. Visit sportymommas.com for details.